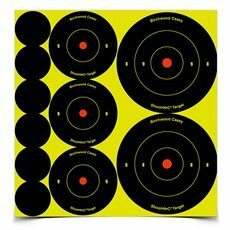 Birchwood Casey manufactures Shoot N – C targets. Their motto is “stick it, hit it, see it”. This description says it all. 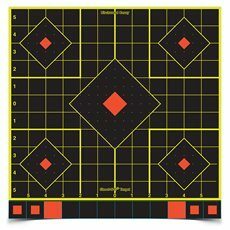 Ideal for new shooters and the experience shooter. It allows the shooter to see the bullet hole, without taking their eyes off the sights of the gun. Try them now at the reduced prices show on our website.